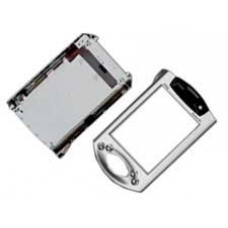 This iPAQ repair service involves the complete replacement of the front and rear case. If you have dropped your iPAQ and the front or rear casing is now damaged, this is the repair service for you. All parts used are brand new and factory supplied. If the stylus lock on the iPAQ 3800 range has worn out replacing the rear case will correct this problem. Rear case assembly for the 3800 series of iPAQ, this includes the stylus lock and the sticky mounts for installing a bat.. Complete front case assembly including the power and four action buttons but not the main joypad. Also includes the powe..